As the owner of a building, it’s up to you to make sure your building is fully protected against fires and other dangerous situations. That’s why it’s so important to invest in high quality fire protection equipment that works to keep your building safe and unharmed. If you’re looking for the right fire protection system, and specifically fire sprinkler heads, then look no further. 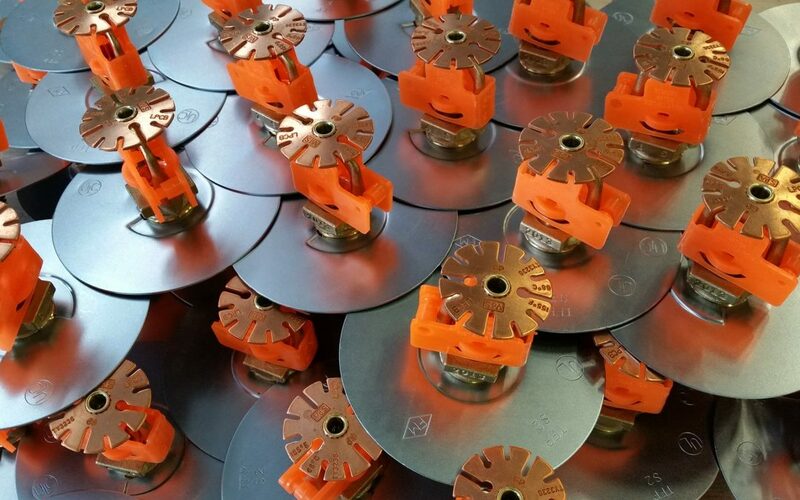 We will highlight the main types of sprinkler heads that are most commonly used in buildings for fire protection. This will help you make the right choice for you and your building. There are four primary types of sprinkler heads for fire protection. Each one is specifically designed to extinguish fires and they come in a variety of temperatures, finishes and sizes. The right choice for your building will cover the main areas that are susceptible to fires. The pendent fire sprinkler head is the most common type and it’s mainly used in offices, hotels and factories. It hangs down from the ceiling and sprays water in a circular motion in order to cover the most ground. Then the deflector (the metal piece at the end) is curved down in order to direct the water in a cone shaped position. An upright fire sprinkler points upwards towards the ceiling. The deflectors are also curved down so that the water sprays in hemispherical position. They’re generally used in mechanical rooms or rooms that are difficult to access. They also offer great coverage for obstructions, such as air ducts. Sidewall fire sprinkler heads are generally used in tight spaces, such as hallways or small rooms. They only have half of a deflector so they can spray water in a half-circle shape, which helps to cover the entire area. Generally, you will want to install sidewall sprinklers in the wall either along or under a beam. A concealed fire sprinkler head is very similar to a pendent fire sprinkler head. However, the concealed head has a cover plate to help it better blend into the ceiling. The cover plate will fall off once the temperature is 20 degrees less than the fire sprinkler, which allows the sprinkler to activate once it’s exposed to the heat of the fire. As the leader in Fire Protection, Frontier Fire offers the best fire protection devices. All of our fire sprinkler equipment is reliable and trusted among many government, commercial and residential properties throughout the United States. We can install fire sprinklers in your building or replace your existing fire sprinklers to ensure you’re protected and using the right system. Give us a call today and find out why people choose Frontier Fire over the hundreds of other fire protection companies in the area.